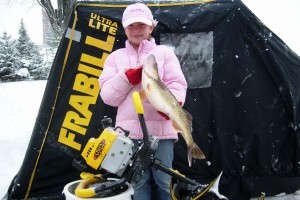 Looking for an unforgettable Wisconsin fishing trip? You’ve come to the right place! When fishing with Tite Line Fishing Guide be assured that you’re in the capable hands captain Jeff Weatherwax, a U.S.C.G. approved charter captain. 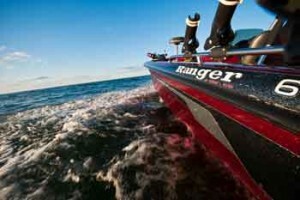 We will be fishing from a fully-loaded 20 foot Ranger boat powered by Mercury motors with updated Lowrance electronics. 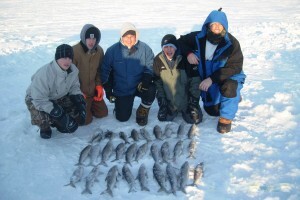 Join Captain Jeff for a fun-filled day of ice fishing on the bountiful waters of Door County. We will chase trophy Walleye, Bass and Northern Pike or do some deep-water jigging for delicious Whitefish. Tite Line Fishing Guide offers rental of permanent ice shanties that have been strategically placed on Whitefish hotspots. All shanties are propane heated and a spacious 8 by 10 feet. An experienced professional guide fisherman with a gift for finding the angling action. Over the past 20 years, Jeff has reeled in many trophy-class small mouth bass, walleye that are 10 lbs. plus and northern pike up to 50”. He brings his vast knowledge of angling to his Tite Line charter fishing service and readily shares his passion for fishing with his clients. Tite Line Fishing Charters offers fishing charters in Door County year-round. If you’re looking for an unforgettable Wisconsin fishing trip, you’ve come to the right place! Call Jeff to see why you shouldn’t miss out on a great Door County guided bass fishing or walleye fishing adventure. 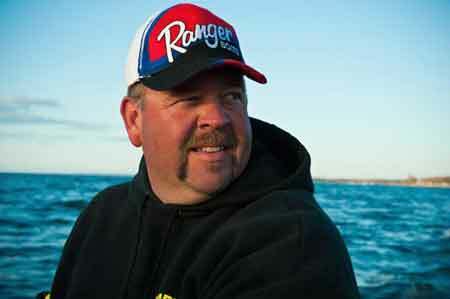 Call Captain Jeff today to see why you shouldn’t miss out on a great Door County guided bass fishing or walleye fishing adventure. We proudly use and support the following companies and their products.